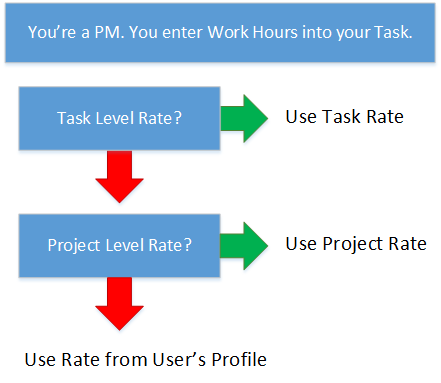 Which rate will Project Insight apply to your Work Rate and Work Billable Rate fields on the project task list, project dashboard and task reports? It's determined by where you put the burden rates and billing rates. PI selects burden and bill rates separately from each other, so follow the flow for each rate. Please note, if you plan to use Company Contracts then Project Insight searches through additional steps. Follow these links see how Work Estimates are calculated when using Company Contracts.